No one really wants to go to court. You don’t really want to be the plaintiff. And you certainly don’t want to be the defendant in a case. But sometimes situations are inevitable, or even almost expected in some cases (consider car accidents or slip and fall cases). 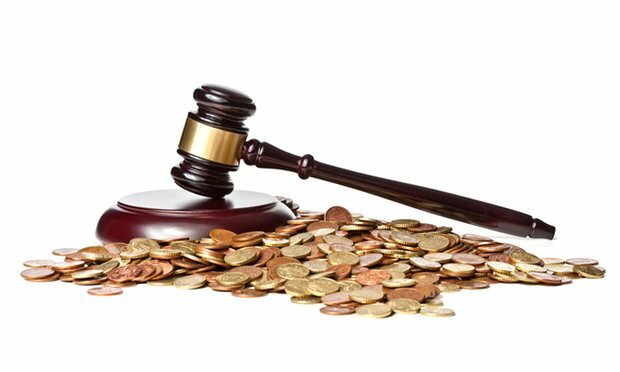 So when you do run into these situations, you want to make sure that you understand court costs and fees in particular. Three ways to illustrate the direction that money goes when you’re in the legal realm would be to look at situations regarding the cost of discrimination, divorce, or whistleblowing. And then you might also want to look into how lawyers decide payment plans, and what all goes into final settlement details. In today’s logically sensible and sensitive world, discrimination has no place. And lawyers and law firms are eager to prove this. Many, many millions of dollars are awarded to people who have been discriminated against because of race, gender, or sexual orientation. And courts are deciding more and more against any individual or company that feels compelled to treat people differently based on those factors. Whatever you do, try to ensure you’re not on the wrong side of history or the wrong side of that equation. Regardless of the reasoning behind the separation, are you aware of the cost of divorce? It can be astronomical, depending on the desires of the parties involved. If there’s a large discrepancy between how much money the parties make, or where children fit into the mix, or if there are new relationships that are part of decision-making process. And the lawyers that hash out those details are going to make a bundle on you in fees as well. From that perspective, it’s better to be civil and try to stay out of court. In an age of security and privacy concerns, there are interesting legal implications when it comes to whistleblowing. In many companies, there are non-disclosure agreements that are part and parcel of employment. However, if something truly sinister is going on at a company, people do run the course of whistleblowing. Edward Snowden is obviously a popular example, but there are plenty of others. And not everything always goes the way of the party in the right either. There are powerful interests that can hire powerful lawyers to try to keep money and status intact. Every single lawyer and law firm will charge a different amount of money for each individual case. The amount of time spent, the degree of difficulty in preparing a case, and the ability of a client to pay will all enter into the equation. Though you’ll see in the news that someone was awarded 10 million dollars in a court case, the final settlement may be quite different than that. There are checks and balances in place to allow certain legal officials to adjust the official amounts of payments being made.